Naughty, a photo by Andrea Pokrzywinski on Flickr. 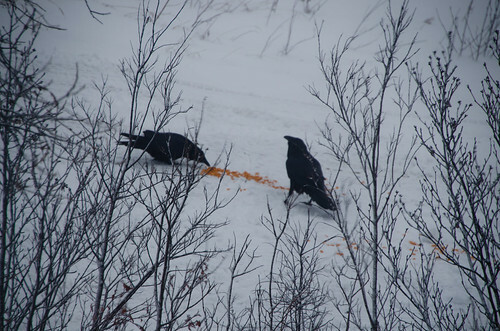 This was a brand new bag of cheetos that the Raven’s stole out of our neighbors truck bed. A reminder not to leave food or trash in the back of your truck or any container a raven can open.